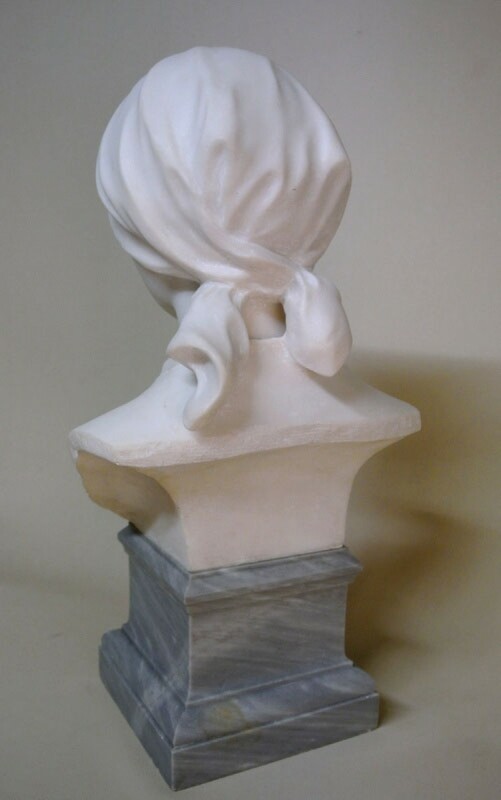 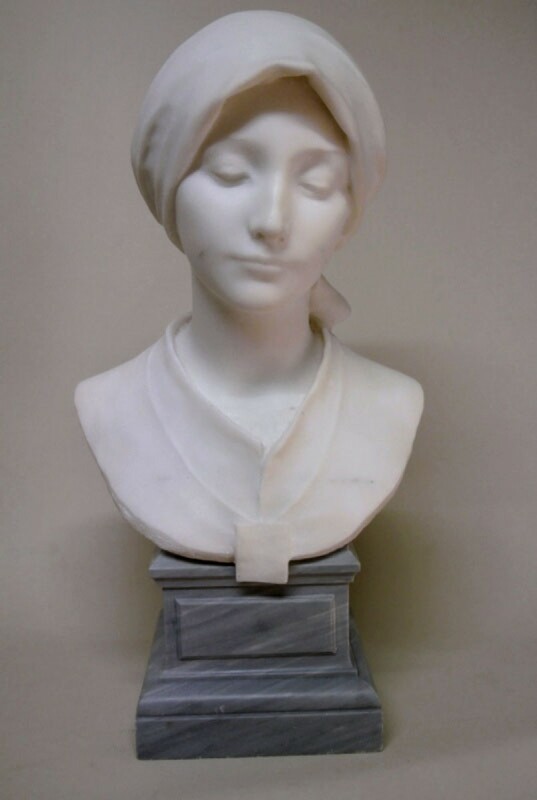 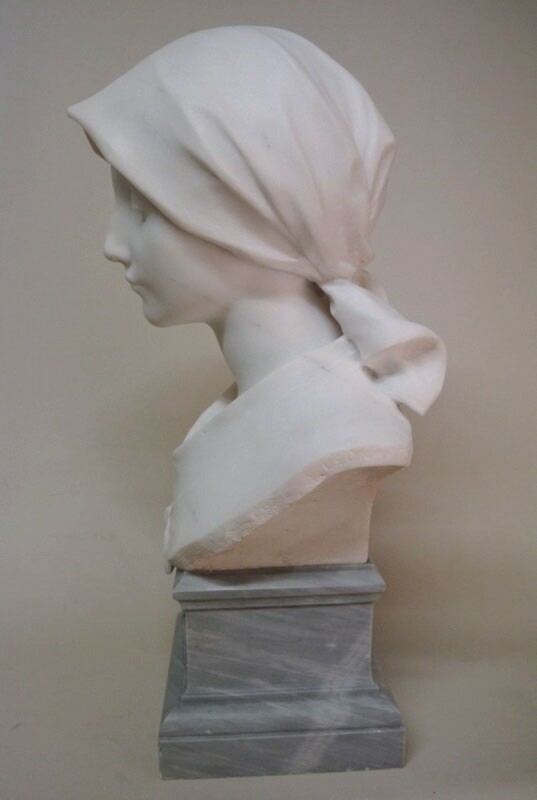 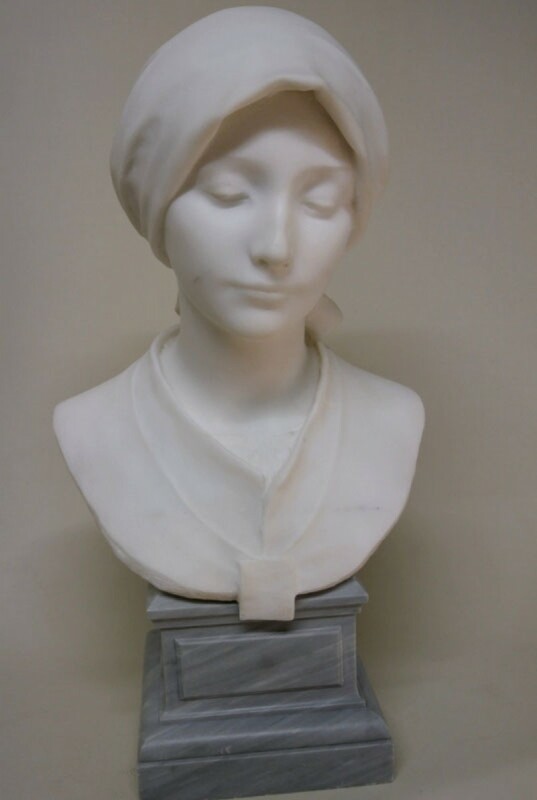 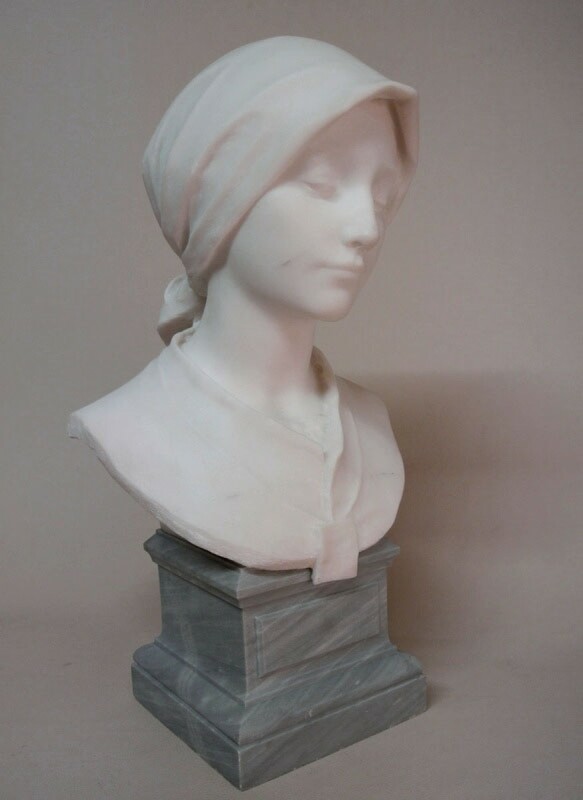 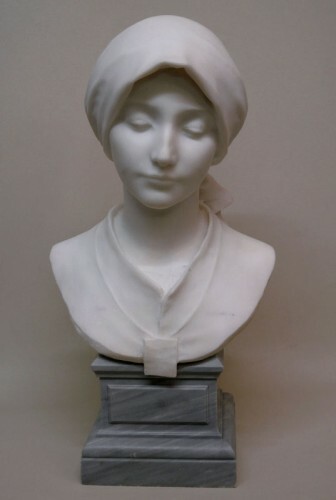 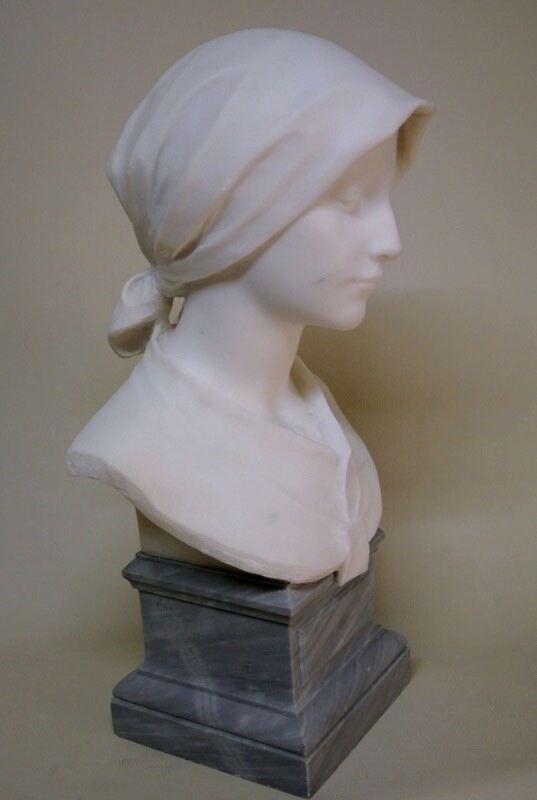 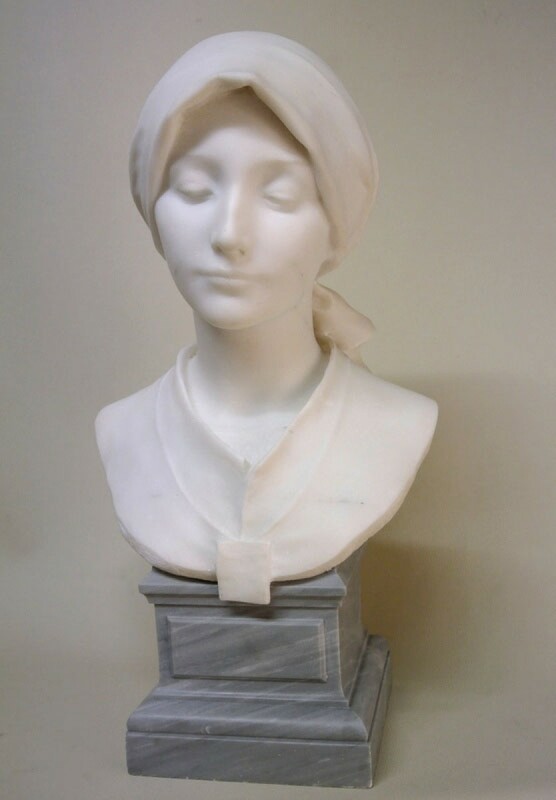 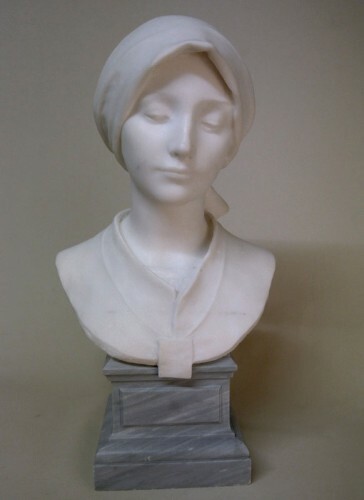 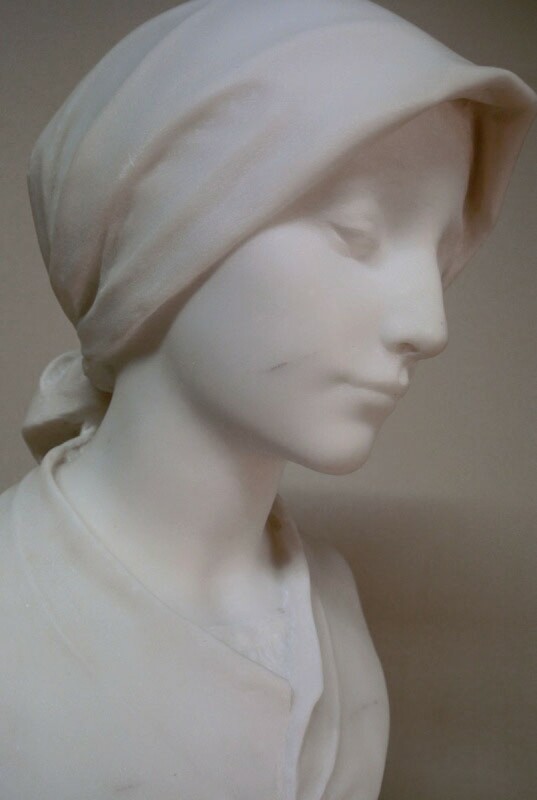 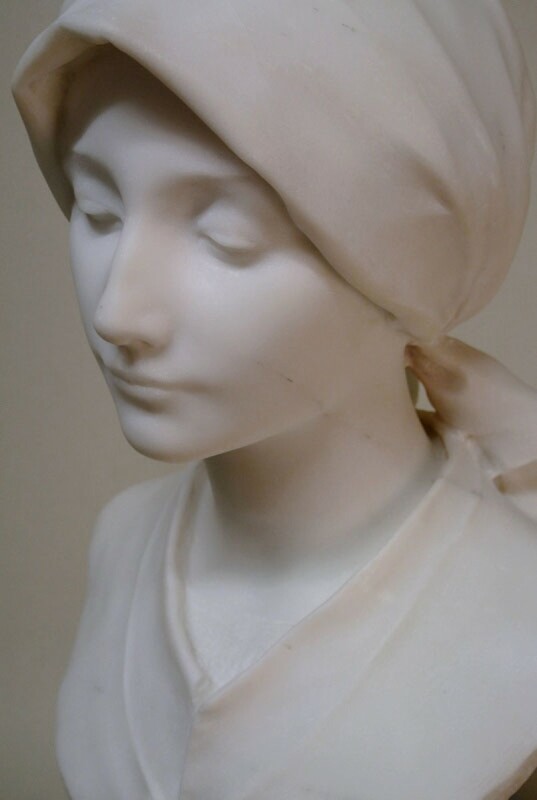 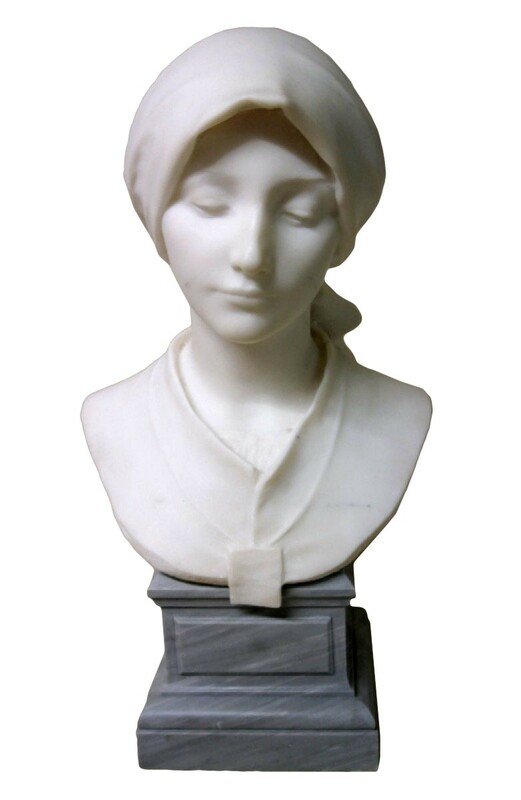 Carrara marble sculpture of late nineteenth century, signed A. LEONARD, depicting a bust of young woman covered hair inspiring simplicity and purity. 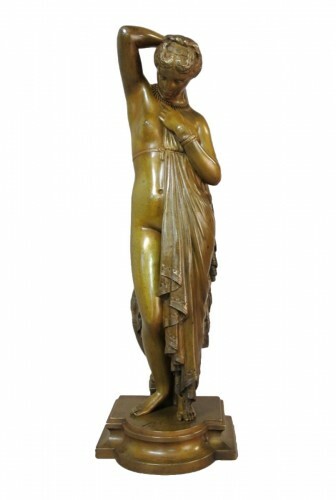 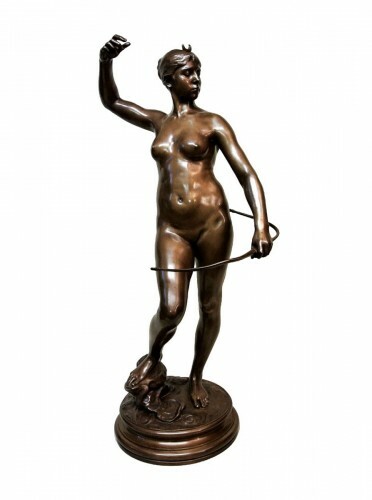 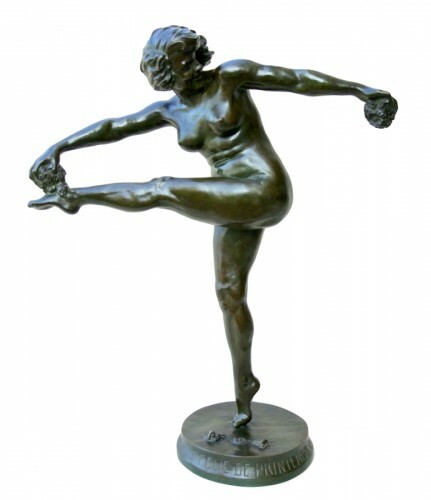 A similar model is exhibited at the Museum of fine arts in LILLE under the title "the scapular" and dated 1891. 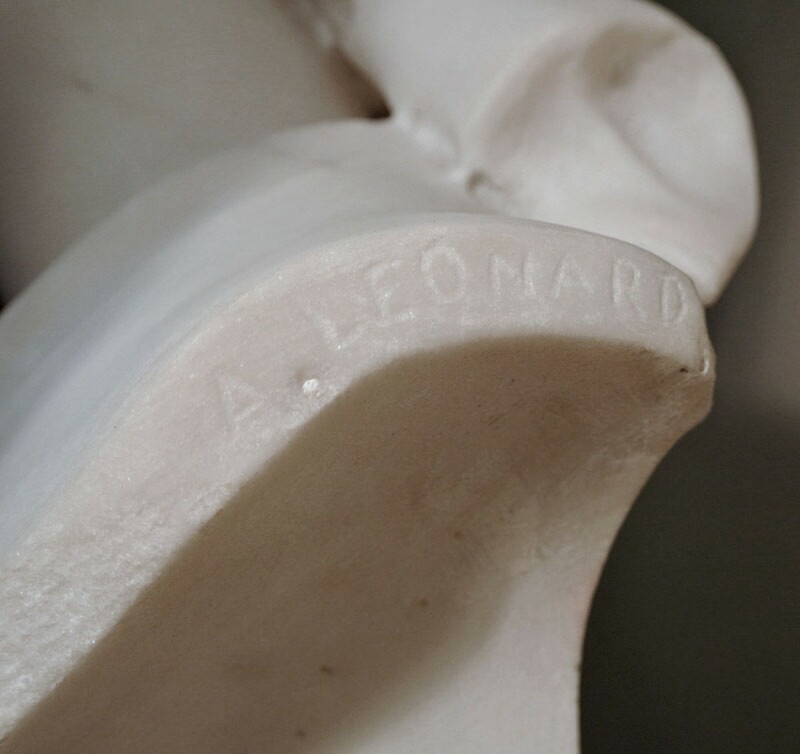 The base is included in the indicated height. 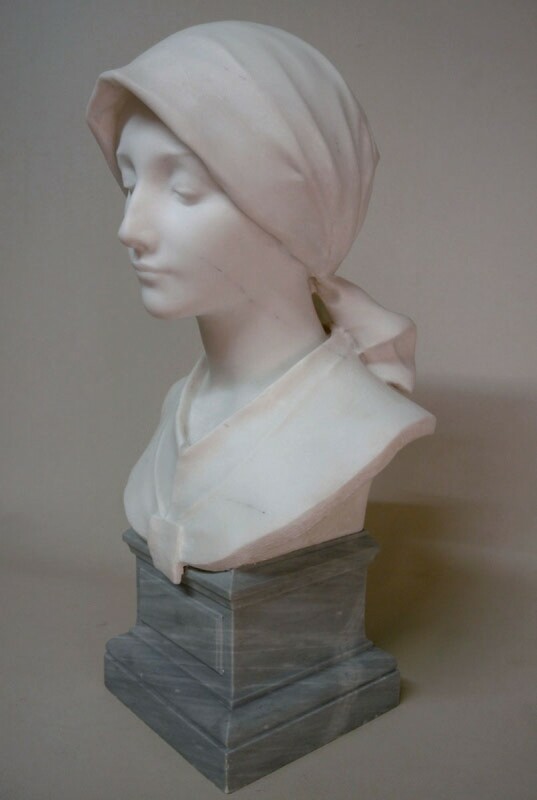 Statue in beautiful state of presentation according to its seniority, presence of fine inclusions veined in the marble (visible in the photos), base in blue carved marble Turquin (slight traces of oxidation). 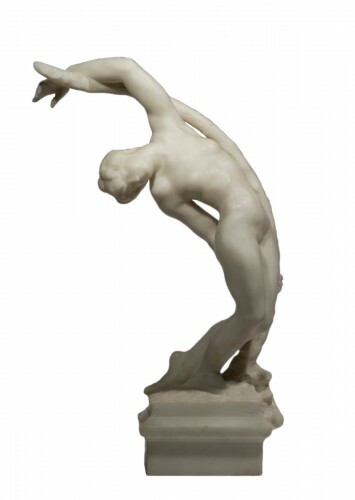 LEONARD VAN WEYDEVELD dit AGATHON, a sculptor of Belgian origin naturalized French, was born in Lille in 1841, a pupil of the Academy of fine arts of Lille, he began to present his works in Paris in 1868 until 1914 at the national society of fine arts, after numerous awards, he won the gold medal at the Paris World Exposition and was Chevalier of the Légion d'honneur.